This is part two of a series on letter-writing in literature. The days of passing paper notes in school are fading from our culture. When I was in high school over twenty years ago, we used notebook paper and created elaborate folds, code words, and nicknames. We knew where to pass notes between classes, when to pass them during class, and even who could be trusted to pass a note without reading it. Now, most students simply send texts and emails to one another with their phones. In her novel, The Mosquito Hours, Melissa Corliss DeLorenzo reminds the reader about these changes in communications and letter writing. The epistolary novel doesn’t have to be a book about letters mailed and received through the post office. DeLorenzo shows how friends write notes in school, and she shares the correspondence between best friends Vivian and Raine in high school. DeLorenzo allows the reader to see Vivian and Raine’s code words. This reveals the slang and cultural trends, but it also makes the reader feel intimately involved in the relationship between the friends. Showing the letters expresses their relationship in a way that we wouldn’t have understood without the notes. We can see Vivian as a high school girl, even though she is a young grandmother during the current time of the story. The notes act as flashbacks to reveal a different time in her life. Thus, the notes show us their relationship rather than a character telling the reader about their past. Next week, I’ll continue writing about letter-writing in literature. See last week’s post on the Confessional Letter for part one. The book proof for Thorncraft’s 7th title arrived in the mail during a late summer rainstorm while the sun was shining. As I opened the book, I suddenly heard bird songs and chatter, and I looked up expecting to see starlings or a similar flock. I realize that they are mockingbirds. I’ve never seen this many mockingbirds in one yard. I count over 20 of them playing around the dying garden, in the field, flapping from cedar tree to fence to persimmon branches to vitex bushes. Around 30, I give up the count and watch as the birds swoop and the white of their wings flashes against the green of the field. They whistle, chip, tweet, chirpity chirpity chirpity, st-weeet with a little trilling laugh on the end of the call. The calls and songs are so varied that I grasp for ways to describe them. It’s better to listen and enjoy. I marvel at the similarity in this first volume of the BreatheYourOMBalance book, thoughtfully selected and introduced by S. Teague. As I read through the stories and poems, I am taken aback by the number of voices moving through Thorncraft. I’m always grateful for each book. Each one has represented a different stage in the publishing process for me, new awareness, and growth into another form. Every book has been unique to the author and my relationship with that person, as I care for all of the books that we make throughout the process. The Breathe book includes work from 28 women who have enriched my experience as a publisher by sharing their voices, and some of them by opening themselves to working through the editing process. I’m humbled that they trusted me to share their ideas, and I’m proud of their courage and dedication, both of which shine in these stories about the transformative practice of yoga. This is Thorncraft’s 7th book. Five books of fiction. One book of collaborative nonfiction. 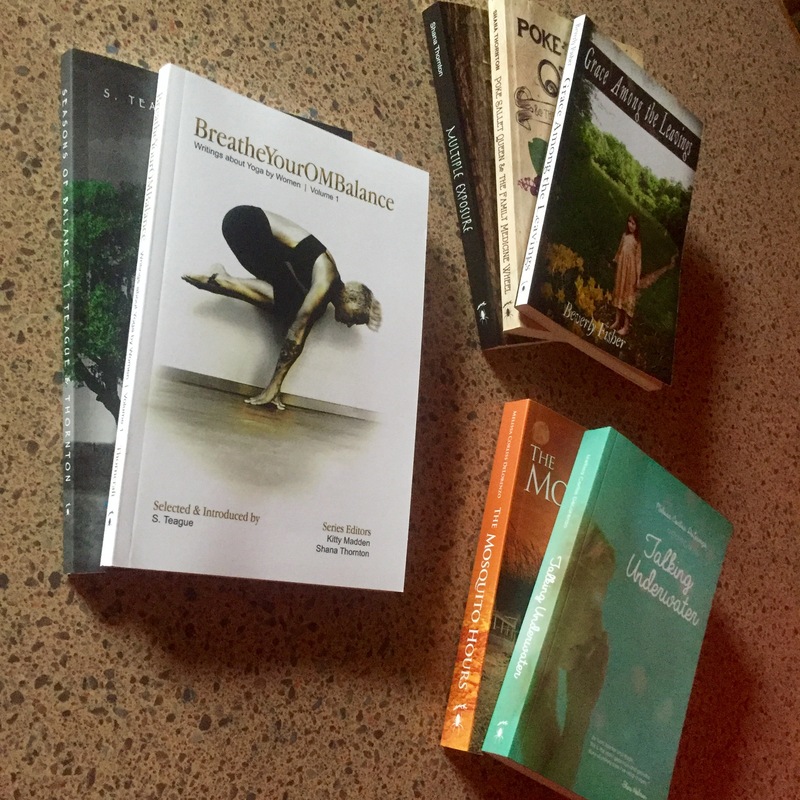 One series book about yoga by women. 4 book authors. 28 contributing authors. I marvel that this creative endeavor continues to grow and include women who make me proud to share their work. Happy dance today at 1,000 miles for my 2016 annual running mileage! This was my total for last year, & I wasn’t expecting to surpass it by Aug. 31. I did it without the expectation. I haven’t been focused on running away from something or running toward a goal like a race or a pace in the future. I am running in the present–looking, listening, observing, being free in nature, and feeling free to discover. I observe so much in the natural world, but my inner world during the run reveals just as much about how I see and experience time and life. As I’m chased by a hornet and then a horsefly, I am reminded to always show all sides to the trail. I would be lying if I said that I haven’t confronted my fears out here on the trails–fear of falling, getting hurt, being victimized, losing the path in unfamiliar territory, and more, but every day is an act of listening while taking one step at a time, knowing I will hear my body’s signals about placement and speed and breath and water if I listen, hoping that I can trust my fellow humans on the trail to offer kindness and help if needed, but mainly to respect one another’s space to experience nature in positive ways, and believing that I can be aware of the trail and its inhabitants to teach me how to run–the trees, their roots, the mud, rocks, the animals, reptiles, amphibians, the insects and arachnids, the birds and their songs of greeting and warnings to one another, the wind and the leaves it carries, the storm’s flickering messages and the rain’s cool relief. I am in a constant state of wonder at all of it, and then deer run out into the rain and play chase with one another, and then my thoughts go beyond, to other worlds, and a wondering happens–what are the other trails and trees like in another universe? To imagine the expanse offers a buoyancy to the run and to life–a tiny glimpse into what is in the wide wide abyss. Flight & tethering, and then time to head for home. I am so grateful to experience the run without running away from anything and without wishing to reach some place. All photos are views from recent trail runs. Words lead to not only more words, if you keep writing, they also create paths and spaces. I didn’t believe the land of words could be so much like trail running when I convinced myself to make words the focus of my career. I had to be careful, to share the trail with my authors, to know when to go it alone, to understand how to step back and “rehydrate” my author’s brain while being a publisher who represents other authors, and most enchanting, to discover new beauties and struggles on the writer’s path just as I discover them on the running trails. I started a blog way back in 2005 with Yahoo360. It was like a couch-to-5K for my writing life which had soured into a ritual of grading English Comp papers and writing way too much feedback to the students. At first, like trail running, blogging hurt and I was getting about one hit an hour. How could this go anywhere? My forehead rested on the desk. I stumbled through writing about pregnancy and staying on target with one blog post a week. I was passed by professionals, out of my league. Winded and exhausted after those first attempts, I got wise and followed the people in social media to the MySpace blog world, and led a happy blogging life at blogspot, too. After a short time, I was content with these familiar trails, and I knew people on them, and it didn’t hurt so much anymore to expose myself as a writer. I blogged about motherhood and students in my classes. This was not nearly enough, even with thousands of hits. I yearned to write something more. It was time to add distance and a faster pace to my writing life. Through social media, I found Her Circle Ezine, and eventually became the Editor-in-Chief, wrote my own novel in the meantime, & tried to shop it. The run was going strong and even getting hot, and my writing revealed more, new adventures. I helped with The Institute of Arts and Social Engagement with Misty Ericson, wrote articles about Mexican women for Lake Chapala Review magazine, interviewed bands & musicians for a Nashville music magazine, felt inspired to create books by women, and took odd writing jobs. Sometimes, I felt smothered by the trail. I couldn’t see my way out of it to the next place. There were traditional maps, but they weren’t working for me. I was in an endless loop. So, out of frustration, I started Thorncraft Publishing to publish my own novel, and then people joined me. I read Beverly Fisher’s novel, decided to publish another author, loved Melissa Corliss DeLorenzo’s work, jumped at the chance to publish her work too, and life kept going. The vistas open up sometimes, and allow more space. The trick is to keep going through the stumbles, brambles, heat, and more, until you reach new paths. Now, we’ve trained up for “ultras,” and in the running world this means 30+ miles per run. In our world of words, this means multiple books published every year, a literary magazine, a stage play, and more. We have a new author at Thorncraft, Salty Teague. She and I wrote a book together earlier this year and launched it at Parnassus Books in Nashville. 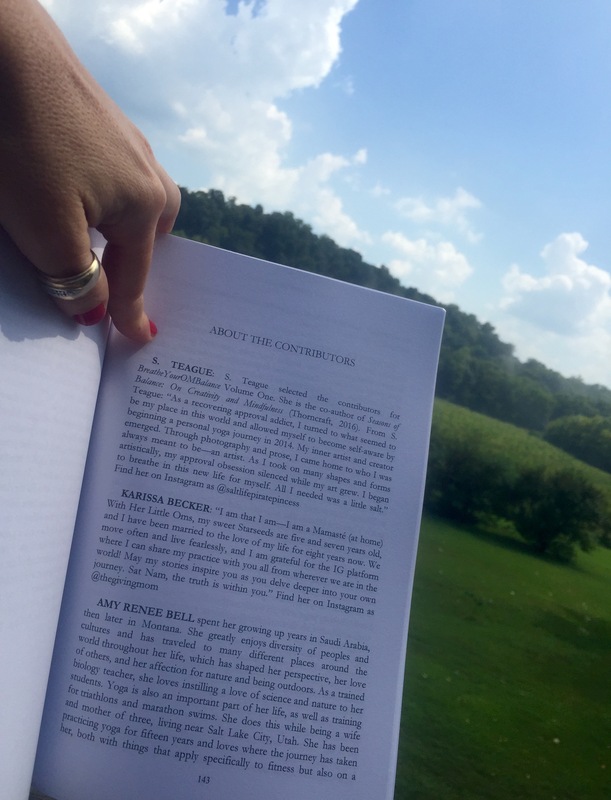 Seasons of Balance: On Creativity & Mindfulness is a self-help creativity journal, with poetry and stories thrown in the mix with affirmations and meditations. The book was chosen as a regional Wounded Warrior Project book, and Salty and I spent a beautiful afternoon at an event at The Yoga Mat that honored caregivers of Wounded Warriors. 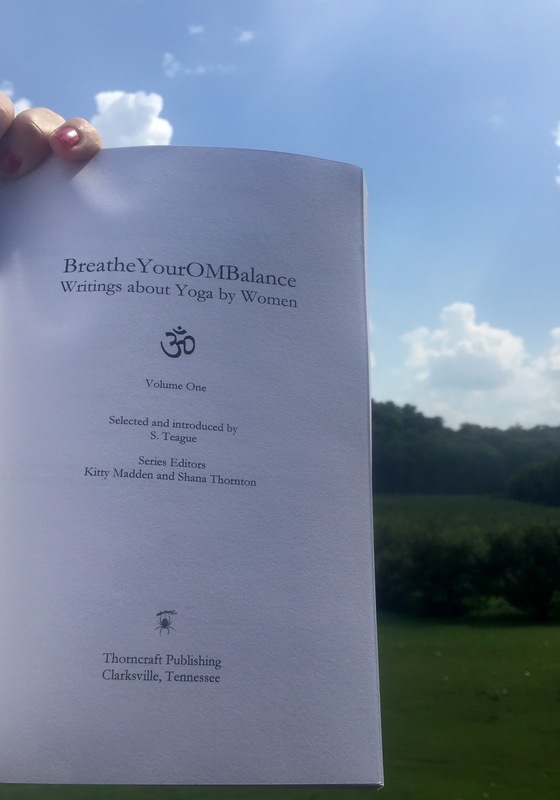 The literary yoga journal, BreatheYourOMBalance Volume One will be finished later this year. Our open reading period was a success. 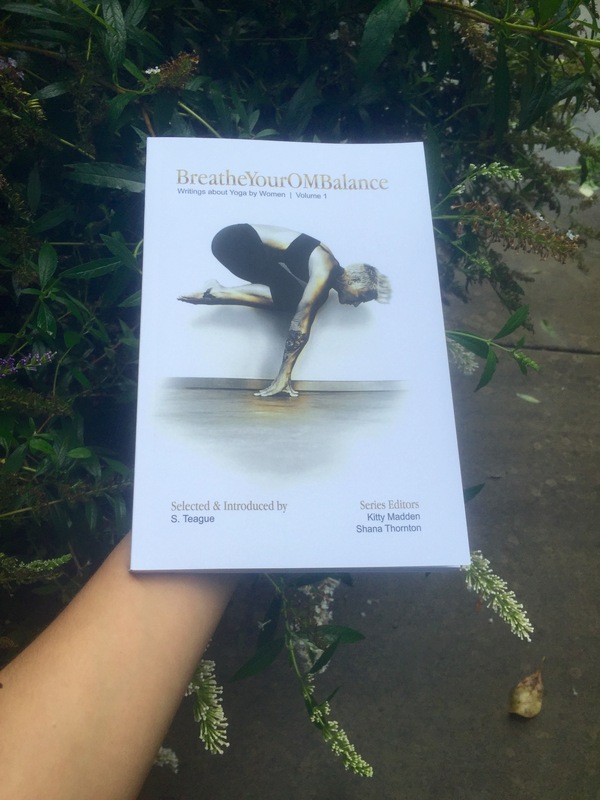 Salty chose 28 contributors for the first volume of BreatheYourOMBalance: Writings about Yoga by Women (Forthcoming, Fall 2016). The contributors range from homeschooling moms to nurses, from yoga teachers to yoga beginners, from university professors to students. We are featuring the contributors on the Thorncraft website, so that you can read about them individually. Salty and I continued working with everyone at The Yoga Mat by having writing workshops. Our next one will be Sunday, October 9. We are excited to partner with The Yoga Mat for Volume Two of BreatheYourOMBalance, which will focus on yoga and healing. Volume two will not be published until 2018. Salty and I were promptly inspired to get going on a children’s book together. We’ve been planning it since last fall. You’re going to love the adventures of Luna the dog and Salty the raccoon. Forthcoming, 2017. In 2015, Grace Among the Leavings by Beverly Fisher was adapted for the stage by Kari Catton and Dennis Darling, and performed at New Salem’s Theatre in the Park in Illinois. It was further adapted into a one act play by John McDonald, and performed in June 2016 at the Roxy Regional Theatre. We have more plans for “Grace” on stage in the future. Melissa Corliss DeLorenzo is working on a new novel, but no word yet on what it’s about. She’s back on the blog, usually writing every week. She has several events this fall in Massachusetts, including the New Bedford Book Festival. Check our Events page at thorncraftpublishing.com to stay up to date. The publishing website is updated weekly with the newest announcement and events.